Scotland's new Lobbying Register comes into force on Monday (12 March), and the regime is likely to draw attention to the deficiencies of its Westminster counterpart. The Lobbying (Scotland) Bill was introduced in 2015 and came into law in March 2016. Billy McLaren was hired as head of the new regulator later that year, promising to make the register live by April 2018. A four-month period of familiarisation for potential registrants began on 23 October 2017, ahead of the go-live date of 12 March 2018. The acting lobbying registrar in Scotland is Dougie Wands - McLaren is now on leave but expected to return in the near future. Wands said: "For anyone who undertakes face-to-face lobbying of MSPs, Scottish Government Ministers, Special Advisers or Permanent Secretary, you might, by law, have to register this from 12 March. Don’t get caught out. If you are unsure about whether this applies to you, contact the Lobbying Register Team and they can provide more details." Since the inception in March of Westminster lobbying register ORCL, there have been many criticisms levelled at the legislation underpinning it - in particular, its exclusion of in-house lobbyists - and ORCL has acknowledged that these are valid. With its wider remit, the Scottish lobbying register expects several hundred registrants within a week of launching, compared to the modest 152 currently listed on ORCL today. 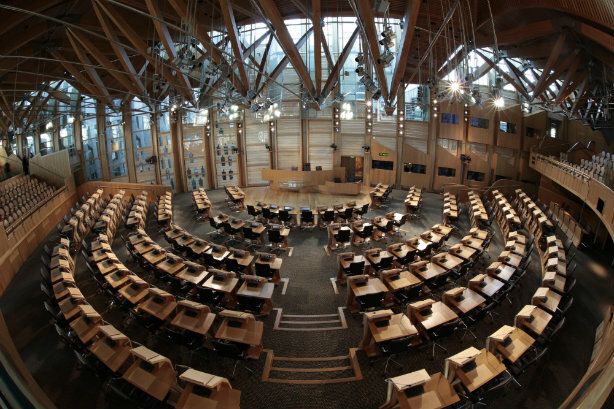 Unlike the Westminster version, Holyrood's register covers in-house lobbyists, rather than just consultants or other third parties such as think-tanks or law firms. It also covers communication with all MSPs and Scottish ministers, as well as special advisers and the Scottish Government's permanent secretary, while ORCL only applies to Westminster ministers and their permanent secretaries. While ORCL covers oral and written communications, the Scottish register only regulates oral, face-to-face communication. The Scottish register will be updated on a rolling basis; it requires information from registrants at least once during every six-month period - ORCL asks for a return at the end of each quarter. Industry bodies agreed that the Scottish launch will bring these into renewed focus. Paul Bristow, chair of the APPC, said: "We have consistently argued against unnecessary administrative burden, and in that context are pleased that the new Scotland regulations have been limited to recording face-to-face meetings, and welcome the fact that consultant lobbyists are treated more similarly to in-house lobbyists than is the case with the Westminster legislation. PRCA director-general Francis Ingham said: "Holyrood has delivered a comparatively better piece of legislation than Westminster: the flaws of the latter are going to be even more pronounced when the Lobbying Register in Scotland comes into force on Monday. "The Lobbying Register in Scotland is not without its own limitations and issues. The regulatory burden remains an acute concern for the industry, but it advances the conversation around transparency by including in-house lobbyists from the very start." Bristow went on to say: "However, we continue to believe that the APPC register provides much better transparency, providing complete transparency on who is lobbying for whom."